Since I became part of the Deeper team around 18 months or so ago, I have been lucky enough to be bankside a fair amount of times, usually lugging vast amounts of kit with me for my stay as we all now seem to do. The one exception to this, as I realised a few weeks ago, is my marker rod set up, I have now not used it for over a year!!! (It is now subsequently for sale). So with this in mind I thought I would share my feature finding process as it is now with you all. Shimano spod rod, Shimano spod reel, Shimano nano (spod braid), Shimano braid leader with a loop at the business end (and NO before you ask I am not sponsored by Shimano !!!) and to this loop I simply attach the following. To find out what the available water has to offer for me. To confirm what the Deeper unit has shown me and to gain and idea of clay type and any weed variety present. To introduce feed, I favour due to the use of the first two items. 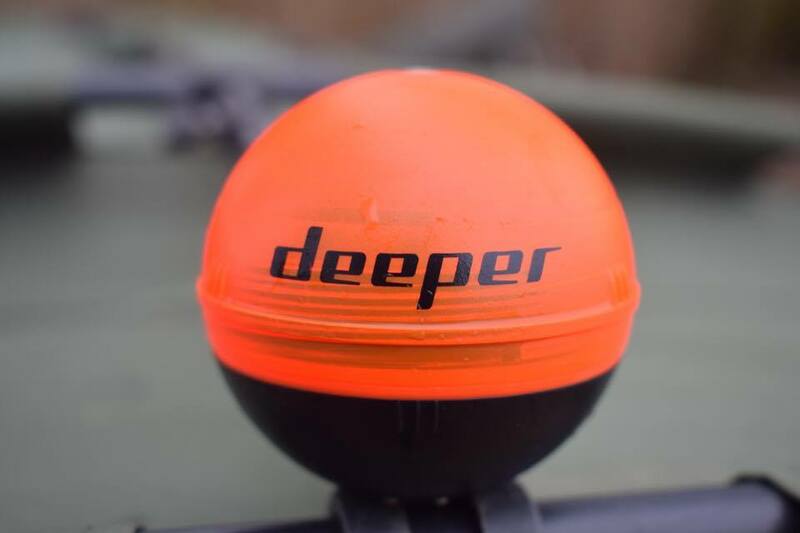 All that follows are the main fishing rods and baited rigs, with maximum confidence and without the now redundant extra marker reel and rod set up. So there you have it and while I can’t say I will never use a Marker float these days the extra rod and reel have no place in my armory. My use of them is so infrequent that I find no need to carry a specific Marker rod and reel set up and when you consider the price of a marker rod and adequate reel and braid etc far outweigh the cost of a Deeper unit I don’t think I will ever carry a marker rod and reel set up with me again.